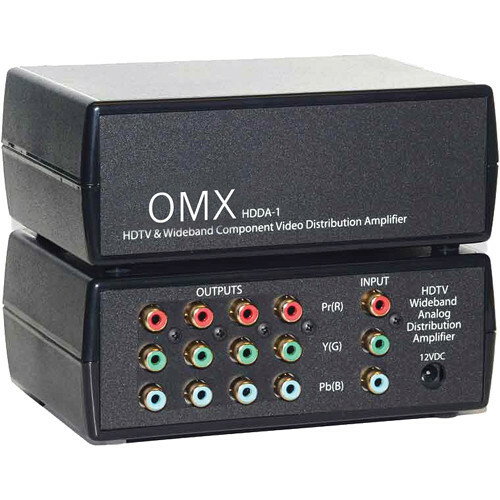 The Ocean Matrix HDDA-1 1x4 Component RCA HD Distribution Amplifier is a 1 input to 4 output Component Distribution Amplifier which carries Pr, Y (G), Pb (B) on color coded RCA's. This Wideband Analog Distribution Amplifier is capable of buffering and splitting any nominal 1 to 2V (peak to peak) signal that terminates into 75Ω. This DA is suitable for outputting to multiple HDTV displays from your DVD Player or Digital Receiver.